Here is the perfect tool to get students to practice more frequently. 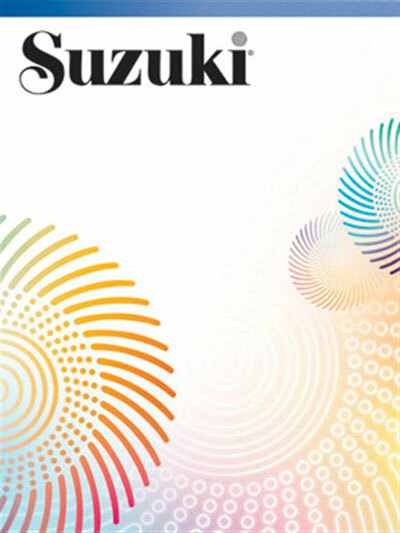 Now available are piano accompaniment MIDI disks for the Suzuki Cello School, Volume 1. Recorded by Suzuki Accompanist Linda Perry on the Yamaha Disklavier, these performances were recorded without reference to a metronome and have a human feel to them. MIDI disks are very flexible to use---you can control the tempo, transpose, add a metronome click, and cancel the playback of the left- and/or right-hand parts. Best of all, students love them! The files are in a format called Standard MIDI File (SMF) and can be played using a variety of different equipment, including an acoustic piano that has MIDI, a digital piano, a synthesizer, a Macintosh or Windows computer. The enhanced CD-ROM contains all of the piano accompaniments plus an exclusive version of Home Concert Xtreme SE from TimeWarp Technologies which will show the music on your computer screen, follow along with it, and turn the pages for you! Also included on the CD-ROM are the listening tracks recorded by Tsuyoshi Tsutsumi. Titles: Twinkle, Twinkle, Little Star Variations (Shinichi Suzuki) * French Folk Song (Folk Song) * Lightly Row (Folk Song) * Song of the Wind (Folk Song) * Go Tell Aunt Rhody (Folk Song) * O Come, Little Children (Folk Song) * May Song (Folk Song) * Allegro (Shinichi Suzuki) * Perpetual Motion in D Major (Shinichi Suzuki) * Perpetual Motion in G Major (Shinichi Suzuki) * Long, Long Ago (T.H. Bayly) * Allegretto (Shinichi Suzuki) * Andantino (Shinichi Suzuki) * Rigadoon (H. Purcell) * Etude (Shinichi Suzuki) * The Happy Farmer from Album for the Young, Op. 68, No. 10 (R. Schumann) * Minuet in C, No. 11 in G Major from Notebook for Anna Magdalena Bach, BWV 841 (J.S. Bach) * Minuet No. 2 from Minuet in G Major, BWV 116 (J.S. Bach).